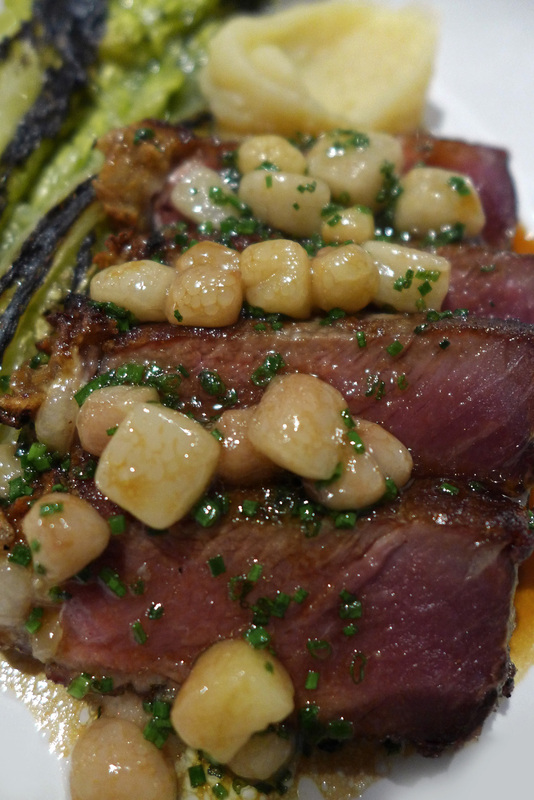 Lake Road Kitchen – 125 day old Beef. 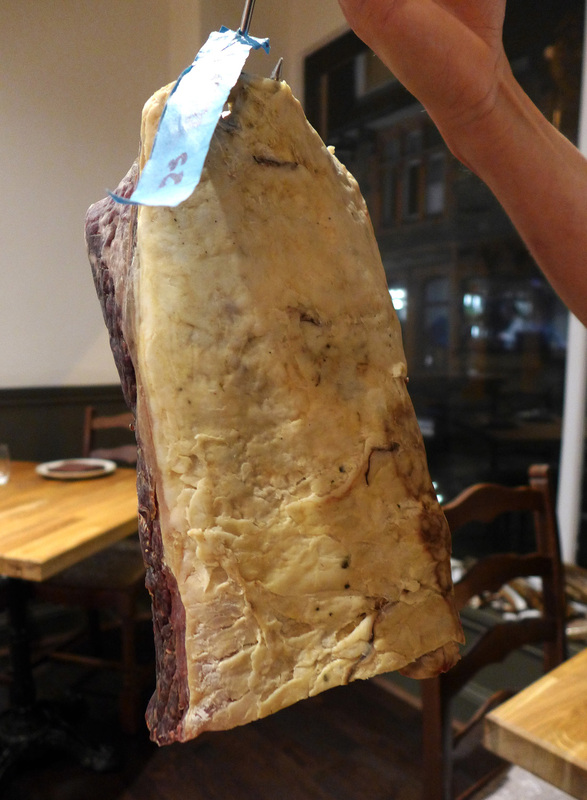 Since my first visit to Lake road kitchen in Ambleside a couple of months ago there`s been a very special piece of Beef hanging in the fridge with my name all over it. I was so tempted to return earlier to try it but a reservation had been entered into the restaurant diary on the day that the Beef had been maturing for 125 days. Yes folks , it`s not a typo….One hundred and twenty five days. 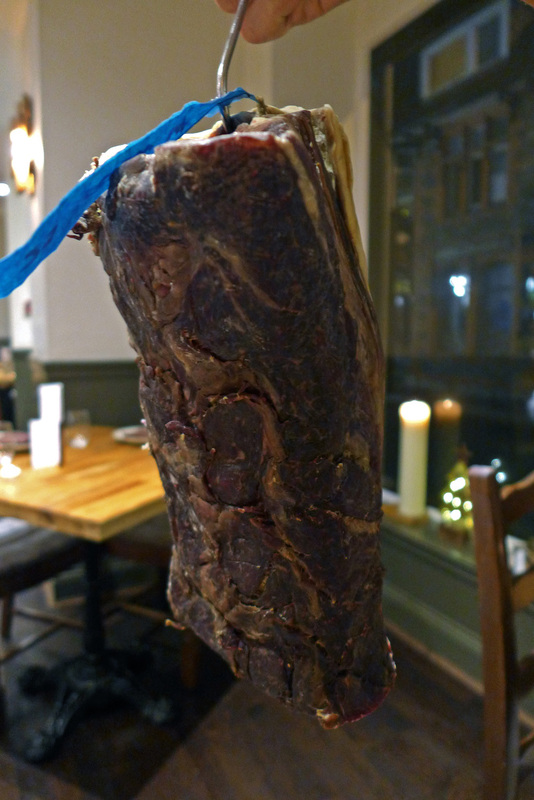 To my knowledge there`s nowhere in the UK that hangs their meat for this length of time. 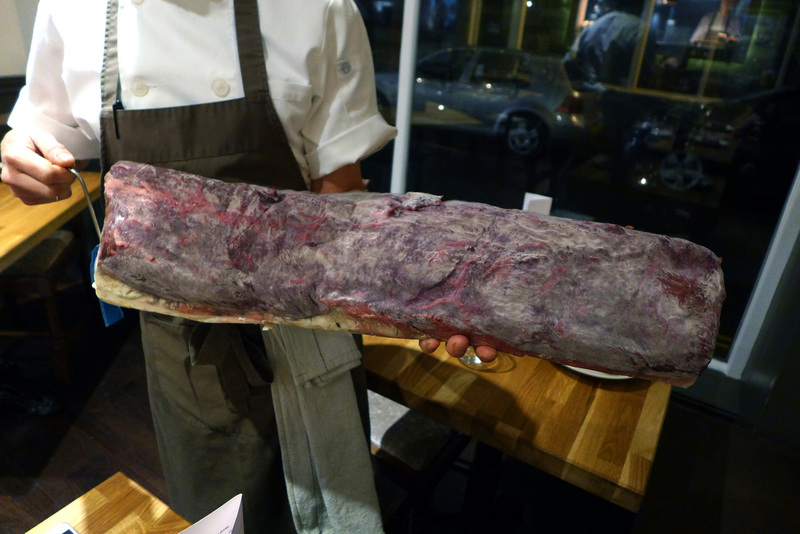 The only one that I could find was Thomas Keller in the USA who serves 140 day old Beef….and where did our Lake road kitchen Chef and owner work ? …..Thomas Kellers `Per Se` in New York. Ok , so let me explain. 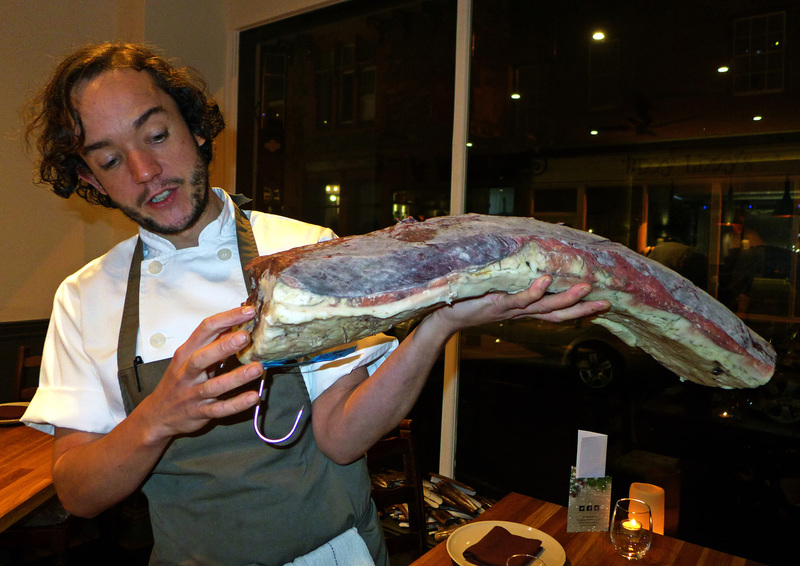 Chef James Cross buys his Beef somewhere between 70 and 80 days old from his supplier. It then gets trimmed up and put on a hook in the fridge at 3 degrees. At this temperature the nasty organisms cannot breed and so the natural ageing process evolves. Every few days the piece of Beef is taken down and scrubbed with salt , bathed , air dried and rehung again. You`ll notice that there`s a natural “Bloom” appearing on the meat from the photo below. This age old salting and hanging process could then be continued until all the moisture has been removed from the meat. What you would have then is a fine piece of cured meat ( charcuterie ) which could then be put on a slicer and carved off deli style. The key to success in our case was to catch the meat somewhere in between therefore allowing it to be cooked and served as a steak. So my piece of Beef was on its 125th day when James chose to cook it for me. A generous slice was cut off the Beef and it was then very simply cooked , a quick searing and then rested. 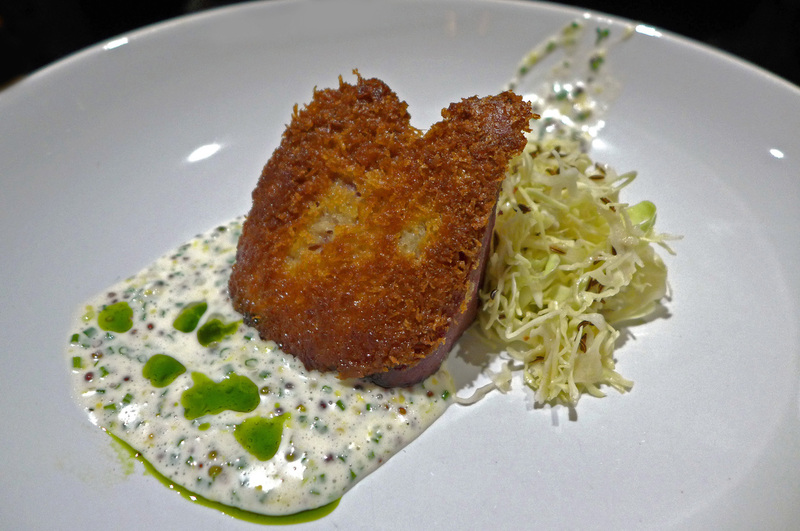 The accompaniments, a charred Lettuce and a bone marrow sauce were served to add even more richness and moisture. To describe the experience honestly , I could probably eat it again… but not in a hurry. The “sniff test” gave my senses a rather “high” dose of Blue Cheese , well hung game and the sensation of walking into a deli. The flavour of the meat was very similar to eating Charcuterie , a bit like a cured Sausage with an aftertaste of Stilton cheese. It was however a new culinary experience and being a foodie then this is what my voyage of discovery is all about. Chef James and restaurant manager George Norrie were all too keen to get my feedback and to then gather all of our views together on the dish. We all agreed that maybe 125 days was pushing boundaries into the territory of the hardened connoisseur and perhaps 90 days would have been the perfect hanging time for the optimum flavour and texture. So there you go….Next trip , the 90 day Beef experience. I actually only planned to go and have the Beef , a starter and a pud at Lake road kitchen that evening but it turned out at 10 courses….. Blame the Chef. 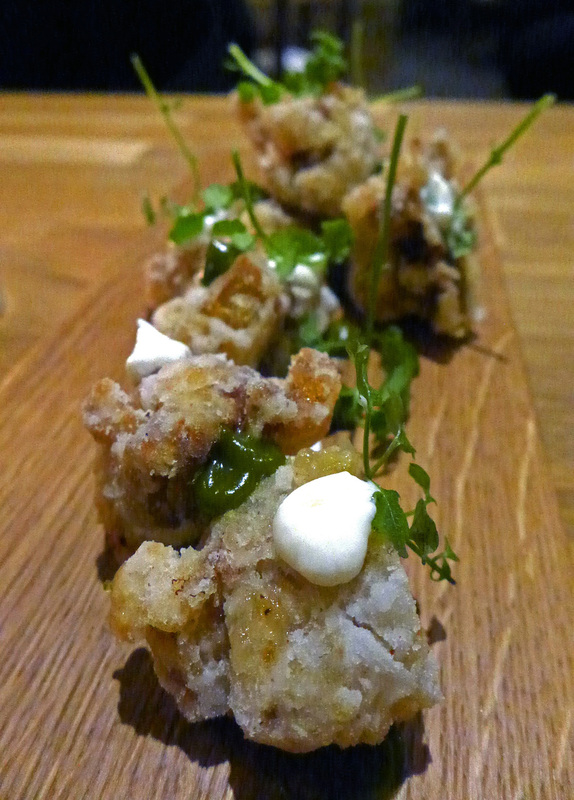 First course was the Guinea Hen with a Buttermilk coating – Amazing bar food and absolutely perfect with a cold Beer. 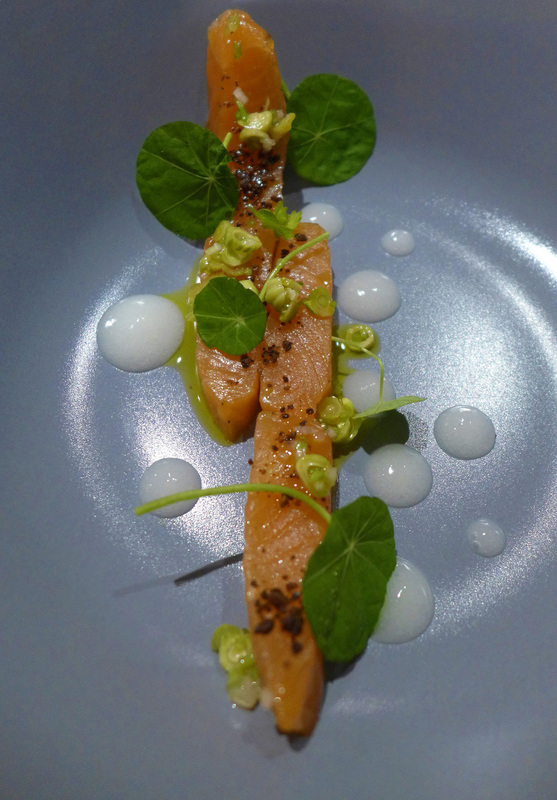 Norwegian cured Salmon , Whey and Nasturtium buds. – Refreshing and simple use of a prime ingredient. 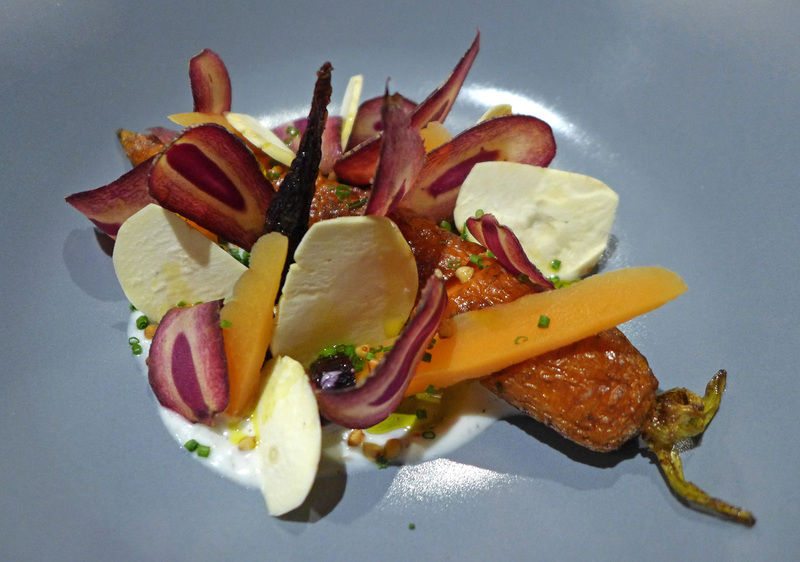 Slow cooked , pickled and fresh heritage Carrots and seasonal Chestnuts – This one has quicky become established as Lake road kitchens signature dish. 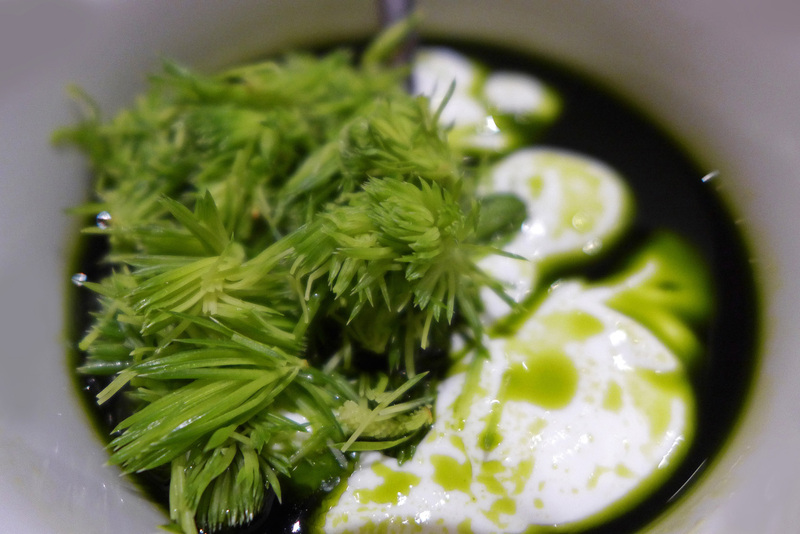 Cauliflower cooked immersed in Butter , Pickled and fresh Pineshoots , Pine oil. 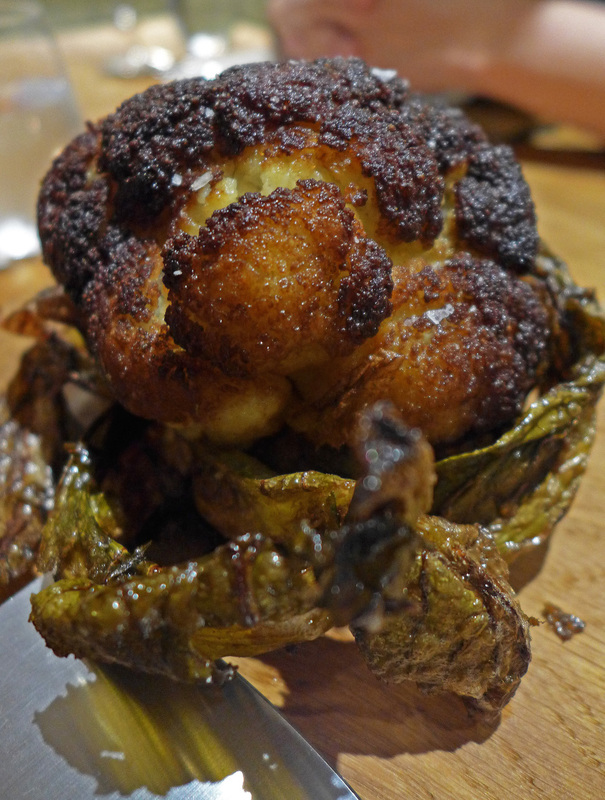 …OMG , The Cauliflower is actually cooked slowly submersed in a whole pan of Butter and then charred. It`s bloody wonderful and a star dish on the menu. A totally new dish for me. Imagine a Cauliflower arriving at the table looking like this.This is quirky and fun dining .It creates smiles and lots of Oooos and OMG`s. 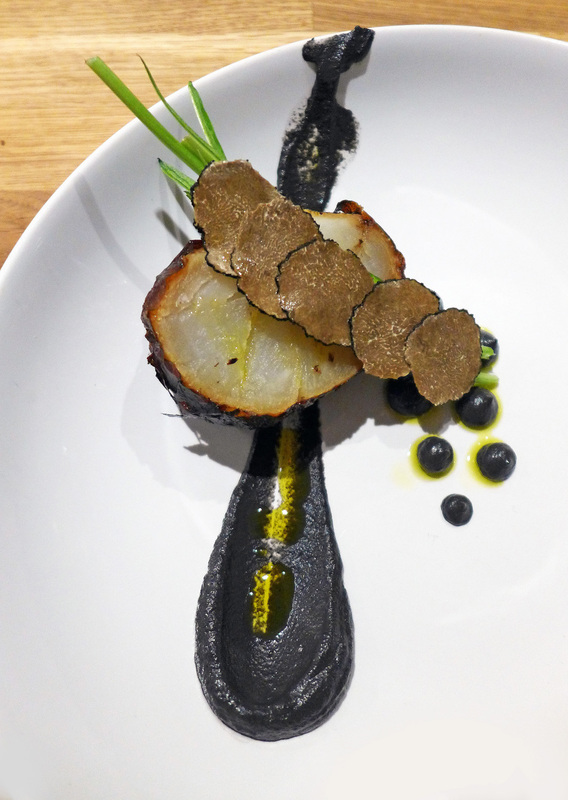 Potato cooked in its skin , Black Trufflle , Black Truffle and Squid ink puree. – Tasting like it was straight off a bonfire and once again perfect use of a simple ingredient transformed into something extremely special. 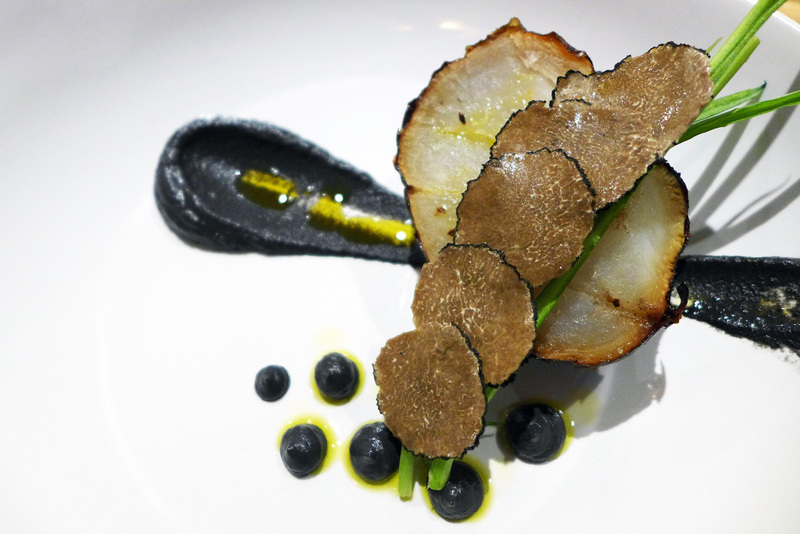 Potato and Black Truffle….Enough said. Orkney Scallops with Sea plants. 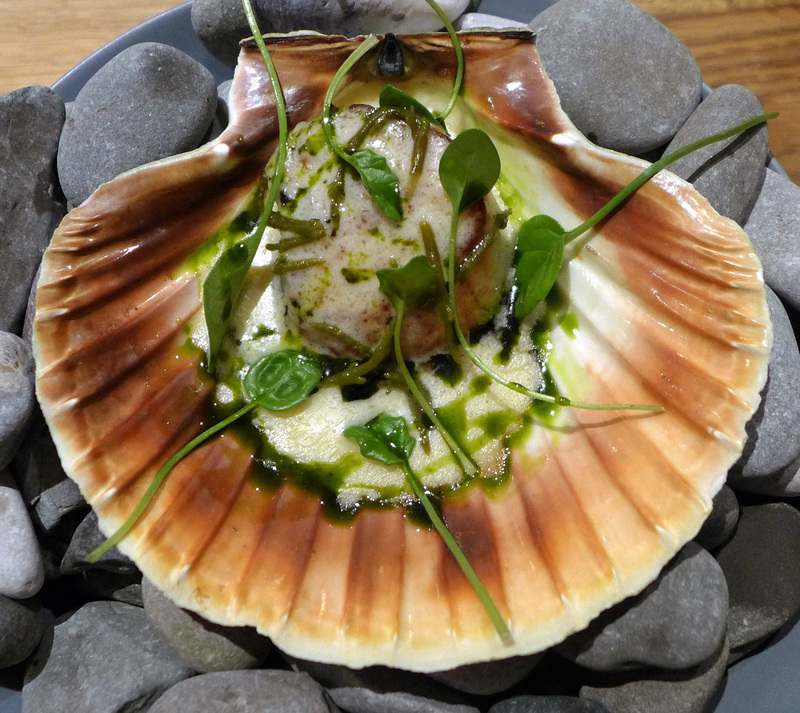 – Sweet sweet Scallops with Mornay sauce and salty foraged beach herbs. I could just eat a full plate of these. 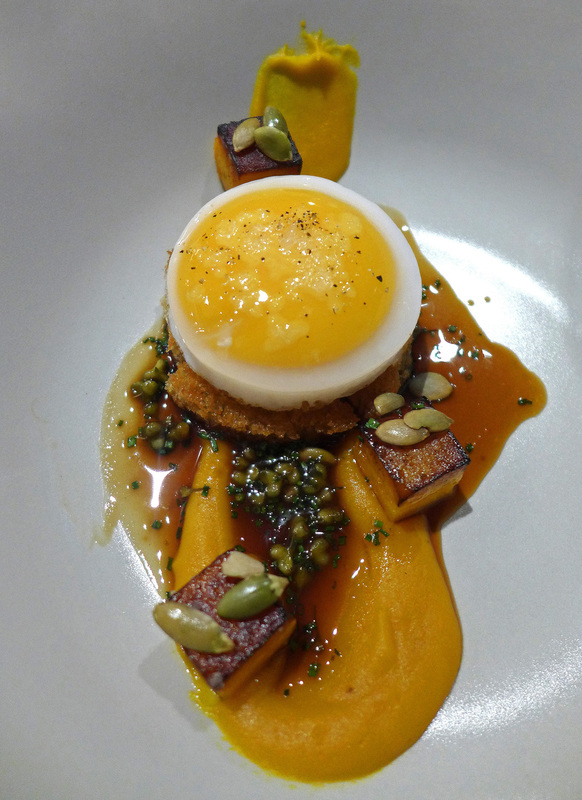 Duck Egg , Crouton , Pumpkin , Sunflower seeds. 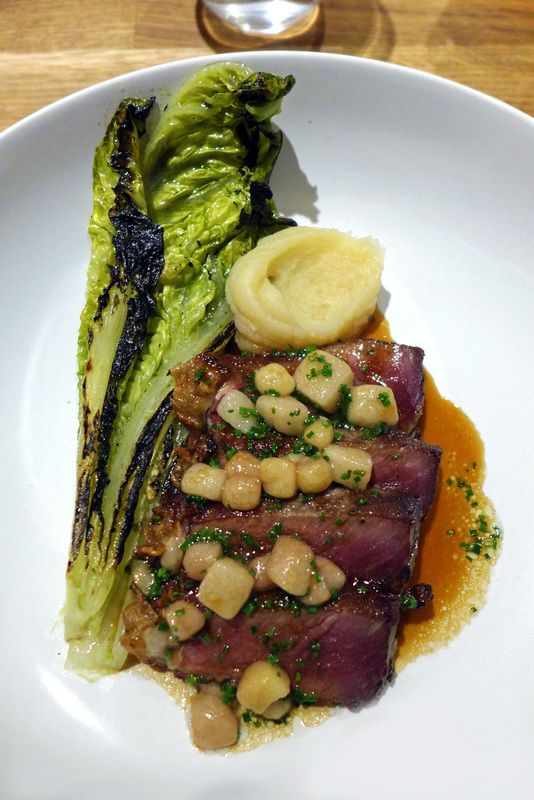 The 125 day old Beef , bone marrow sauce and charred lettuce. Mashed Potato with no cream or butter. Buttermilk ice cream , Preserved Strawberry and Rose petal jam , Linseed wafers. 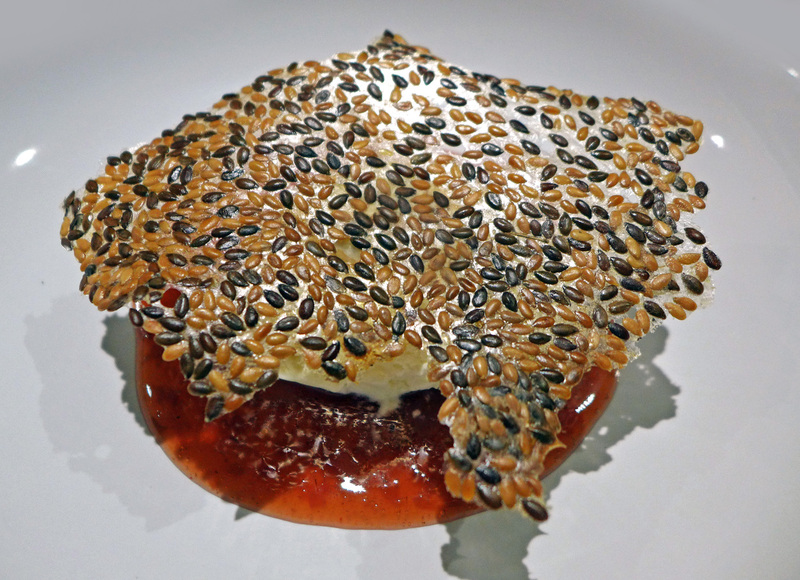 – Winter is a real poor time for the forager and so James relied totally on preserved produce for this highly flavoured dessert. 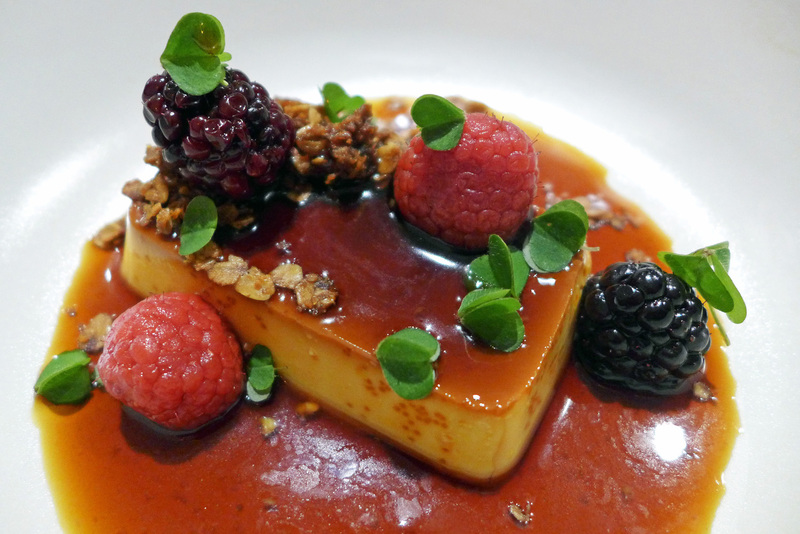 Crème caramel , preserved Raspberries and Blackberries with Crème de Mure , Granola and Wood sorrel. 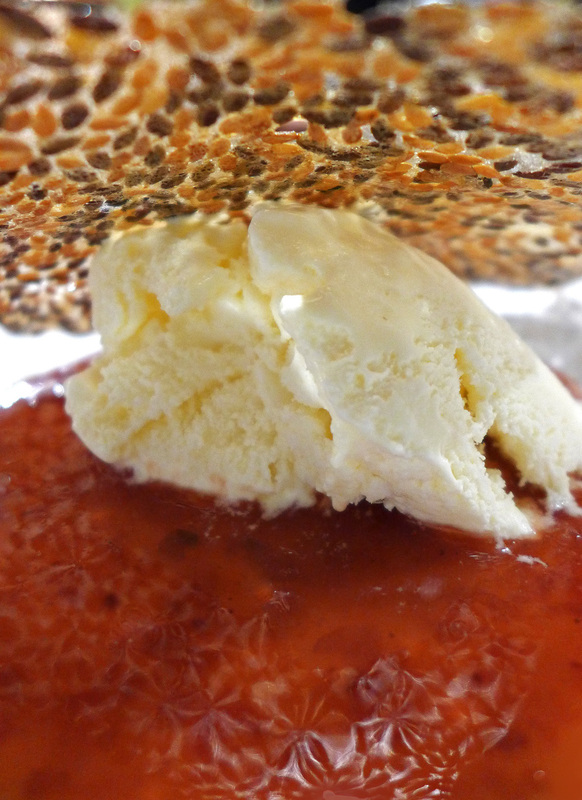 – Creamy , flavours of almost burnt Caramel and boozy berries….Oh how I love my desserts. Exciting times lay ahead for the Lake road kitchen team. Spring produce will be appearing on the menu in a few weeks time, leading on to the restaurants first summer. Keep a space in the diary planned for a trip to Ambleside as itll definitely be an experience and a half if my 2 visits are anything to go by. Previous Post THE LONDON RITZ – A very special Sunday lunch to finish off 2014. Next Post A quick foodie fix in Bangkok… “Again”. Quite fancy popping up to eat here. This or Samling? New chef at samling from Le Manoir.